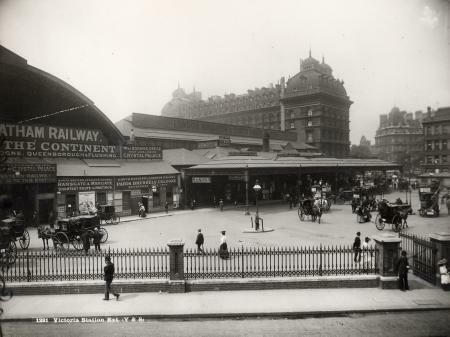 Victoria station is a major National Rail, London Underground and coach station in the City of Westminster. 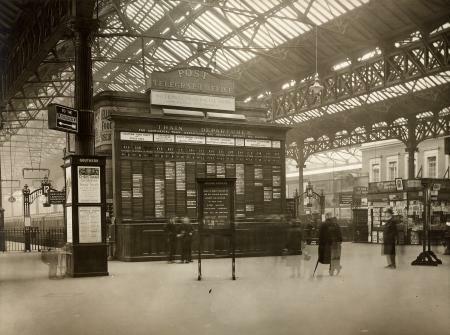 It is the second busiest railway terminus in London after Waterloo. It is in Travelcard Zone 1. It is named after Queen Victoria. The eastern (Chatham) side, platforms 1–8, is the terminus for services to Kent on the Chatham Main Line and its branches. The western (Brighton) side, platforms 9–19, is the terminus for services to Surrey and Sussex, including Gatwick Airport and Brighton on the Brighton Main Line and its branches. This split is generally held to, as the track layout does not allow much swapping, with only a small number of connecting flyovers between the main lines in the Battersea area, and a single track connection just outside the station. As the Brighton side is the busier of the two, disruption on that line sometimes results in some of its suburban services using the eastern side. This is often true of the Gatwick Express, which travels along the Brighton Main Line, as it will often divert over Chatham side tracks during engineering works in order to maintain service levels. 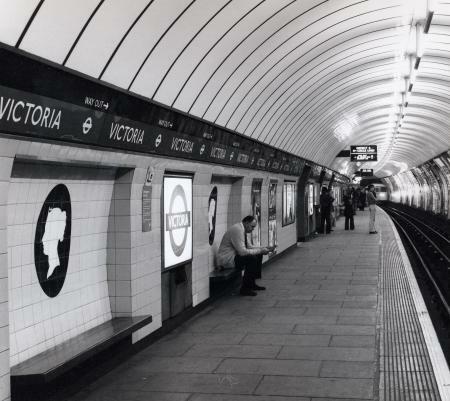 Victoria also serves as the London terminus for the Venice Simplon Orient Express, from Platform 2, the longest platform. 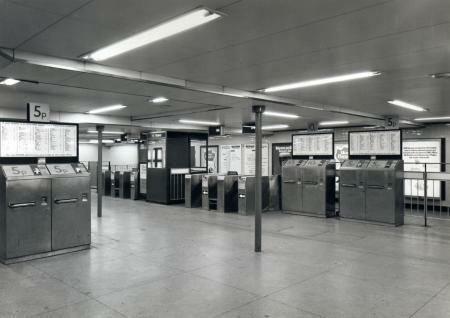 There are ticket barriers to platforms 1-12 and 15-19. Platforms 13 and 14 don't have ticket barriers and this is where the Gatwick Express service departs. The London Underground station lies to the north of the mainline station concourse.It is currently the busiest station on the system with around 76 million using the station (not including interchanging passengers) as of 2007, 60.2 million (including interchanges) using the Victoria Line platforms. There are two ticket halls. 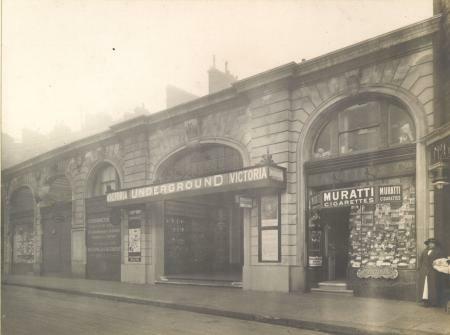 The newer hall, closer to the mainline station, serves the Victoria Line; the other, farther north, serves the District and Circle Lines. The ticket halls are connected by a pedestrian passage beneath the Bus station. 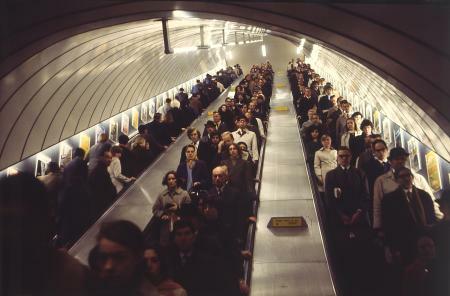 The southbound Victoria Line platform. 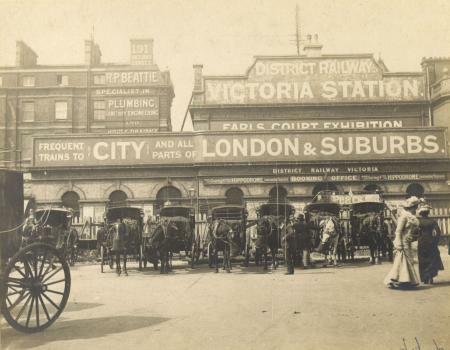 Victoria coach station is half a mile south-west of the railway stations. It is the largest and most significant coach station in London. It serves long distance coach services and is also the departure point for many countryside coach tours originating from London. It serves all parts of the UK, and mainland Europe. 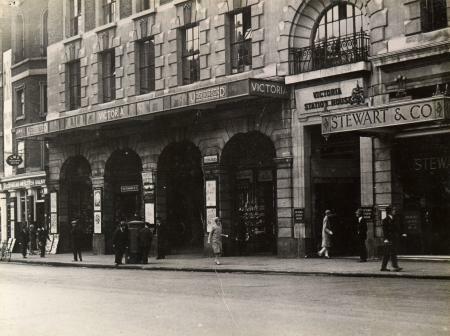 The Victoria bus station is directly outside Victoria Station. It services only London Buses, with 19 routes and 200 buses per hour at busy times. Bus 'spider' maps are available from TfL; they are designed like tube maps. The Green Line Coach Station is another coach station near Victoria Station. The station offers long distance coach services by Green Line Coaches and Greyhound UK. ↑ 1.0 1.1 1.2 1.3 "Station usage estimates". Rail statistics. Office of Rail Regulation. Please note: Some methodology may vary year on year. ↑ Association of Train Operating Companies (2005). 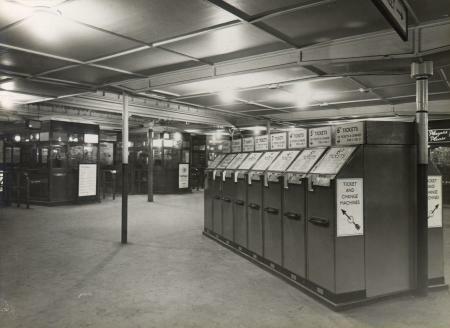 National Rail Enquiries - Station Facilities for London Victoria. Retrieved 24 December 2005. ↑ A subsidiary of Transport for London (TfL). This page was last changed on 12 July 2017, at 14:03.